Add some luxury and modern grandeur with this meticulously hand knotted contemporary rug. Cyrus Artisan Rugs' M-8 rug features a lustrous pile finish, average thickness, and gorgeous sheen that is exquisitely soft underfoot. 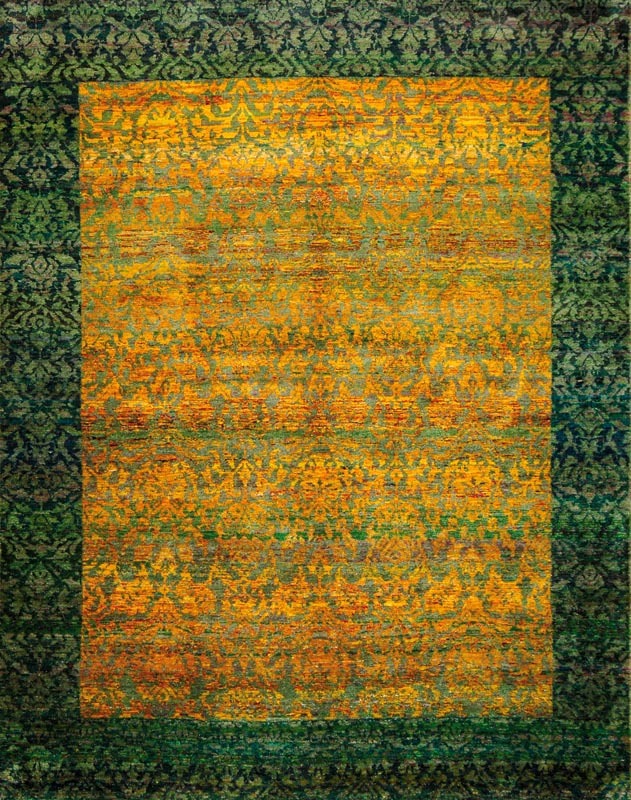 Hand knotted in India from luminous recycled Sari silk, the striking palette and sumptuous feel make it the perfect piece for contemporary interiors. Its lustrous transitional design blends classic motifs with hand knotted silk that guarantees superb resilience.